My daughter has a love for cupcakes, so when her 18th Birthday celebration was coming up, I knew I needed to come up with some type of cupcake that would be perfect for her. For her 16th Birthday, it was Root Beer Float Cupcakes and wow were they good. This year, I went with Vanilla Cupcakes and Hot Chocolate Icing; or Inside Out Hot Chocolate Cupcakes as I like to call them. She loves hot cocoa, loves the Holidays – so I knew these were the ones. The cupcakes were a huge hit at the party and these are definitely some I’ll be making again. I set up a cupcake making station where they could ice them and add decorations. And then inhale them of course. I ended up using a vanilla cake mix because sometimes, you just gotta use a cake mix! The Hot Chocolate Icing only requires five ingredients and it’s incredibly easy to make. This first batch I did (and happened to photograph) the icing turned out a tad bit grainy. The next batch I added more powdered sugar, refrigerated it for about an hour and it turned out perfect. 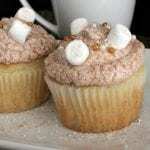 These would be great to serve at a holiday party, Birthday party or to make for your family just because! Here’s the recipe. Enjoy! 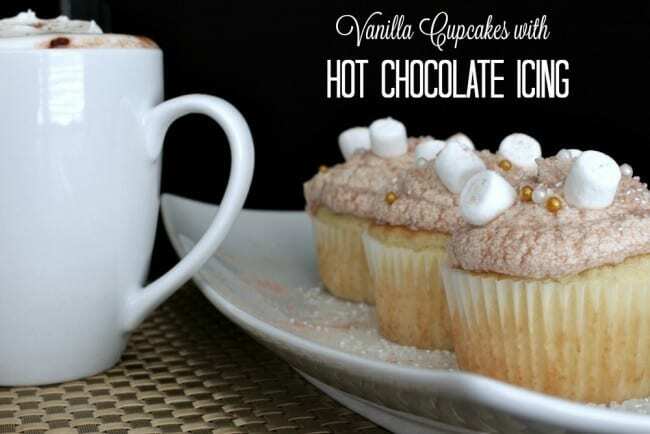 A smooth, creamy hot chocolate icing recipe that's perfect for the holidays. 1. Heat the milk and hot cocoa mix together over medium high heat for about 30 seconds, stirring as it heats. Be careful not to let it boil over. Set aside and let it cool. 2. While the hot cocoa mixture is cooling, beat the butter on medium speed until smooth. Add the powdered sugar, one cup at a time, mixing well after each addition. 4. Turn the mixer turned down to low, slowly add the cooled hot chocolate mixture. Beat for 3 minutes. 5. 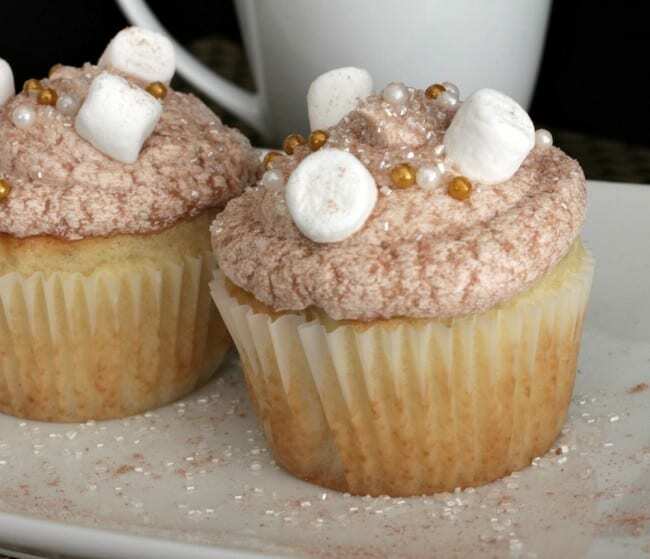 Ice the cupcakes with the hot chocolate icing, add mini marshmallows, a sprinkle of powdered hot chocolate and any other decor you'd like.